The year was 2012; the world was sustaining about seven billion people with its population growing at an exponential rate. People had started to realize the impact of the alarming community which needed addressing before it became severe. While most of the scientists around the world were working with tackling the population explosion, the R&D group at the Department of Energy (DOE) was preoccupied with handling the rising energy demand. With the primary objective of finding new potential sources of energy, the DOE worked tirelessly, “converting plastic into energy, inventing motors that could run on water, producing electricity from lightning” and whatnot. But experiments with permutations of existing sources proved to be of no use. To keep the project a secret and to find new sources, the DOE decided to set up a base in the Arctic. Governments emptied their pockets funding this project. 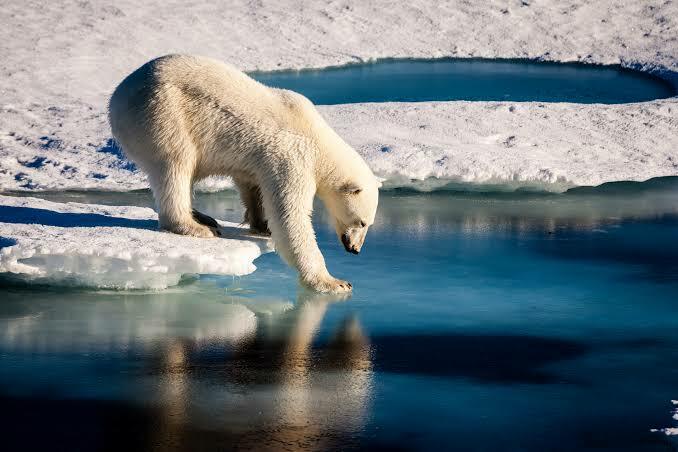 Soon enough; researchers flooded the uninhabited glazed arctic. The climatic conditions forced them to smoke to keep their bodies warm. They also had to protect themselves from the polar bears and snowy owls. Why owls? These snowy owls are not ordinary owls. They hunt mainly during the day unlike most owls, and they seemed to have developed an interest in the processed food which researchers forgot to eat while engrossed in their work. A serendipitous idea struck one of the researchers. It was decided to capture all the owls and polar bears in the region and use them to run turbines and generate power, the old school way of producing cheap electricity. The proposed design started with lowering cans of processed fish or canned foods which were pretty abundant, courtesy of the researchers, into the cages of the owls and bears. The owls flutter their wings furiously and try to reach for the food while they are held back by a metal chain, and the bears start to run around in a circular treadmill trying to reach for the food. Though it may sound unusual and inhumane, the bears and the owls have a strict work schedule eight to ten hours of work per day – including lunch and other breaks. They even have Christmas holidays! The kinetic energy from their fluttering and running is converted into rotary motion using turbines. These turbines are then coupled with coal or natural gas utility plants to generate power. But what the scientists didn’t care about was the pollutants released from the plants. Though the concentration of harmful gases was less, it was sufficient to cause mild acid rains. These rains killed the fauna of the Arctic. The Arctic terns were severely affected, and sometimes they also fell on their air-conditioners. Scientists who inspected the terns felt the exhaust air from the air-conditioner and mistook it for heat generated by the atmosphere. Intrigued by this sudden heat, scientists verified data from previous years and compared it with the current trend to finally conclude that the Earth had been warming which in turn depleted the ozone layer above the Arctic. The results also mentioned a drop in the ice cap levels and the source for this reduction was cited to be unknown. But I guess, you know why! Disclaimer: The author is not responsible for any physical, emotional or physiological disturbances you may face while trying to trace the origin of this work as you will not find it. The efforts will be futile, as this work is from a very classified intel. I'm not a psychopath but a high functioning sociopath, "bazinga". FUQ: Where do animals get their architectural degrees?